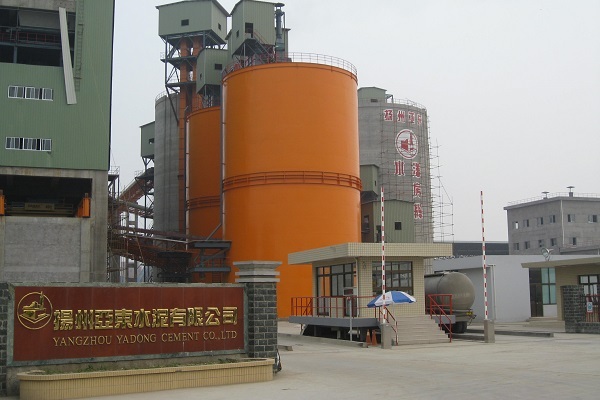 Home/ About Us/ Subsidaries/Yangzhou Ya Dong Cement Co., Ltd.
Yangzhou Ya Dong Cement Co., Ltd.
Yangzhou Ya Dong Cement Co., Ltd. (the “Company”) was established in 2006 by Asia Cement Corporation and Ya Dong Holding Co., Ltd., both of which are subsidiaries of Far Eastern Group in Taiwan. The total investment amount up till now has reached US$74.32 million, of which equity attributable to shareholders was US$35.53 million. The Company currently has three cement grinding systems (two of which are equipped with roller press pre-grinding system), with an annual cement capacity of 3 million tonnes. It is currently the largest cement corporation in Yangzhou City. Through years of development of the “Skyscraper” brand, the cement produced by the Company under this brand is now widely accepted and recognized in Yangzhou. The Company has established good long-term relationships with a number of leading construction companies in Yangzhou, such as Jiangsu Yangjian Group Co., Ltd.Jiangsu Hanjian Co., Ltd. , and Wanlong Foundation Engineering Co., Ltd. In addition, the Company has also undertaken a number of national key projects for the supply of cement and concrete, such as Yangzhou Taizhou Airport, Slender West Lake Tunnel, Jiangliu Highway and Nanjing-Qidong Railway, etc. Both product quality and after-sales services of the Company have gained positive market response. In 2011, the Company achieved sales revenue of over RMB1 billion, and required to pay a tax amount of over RMB50 million. The Company was named among the “Top 100 Companies in Yangzhou in 2011”, and the “Top 10 Tax Paying Enterprises in the Development Zone”.